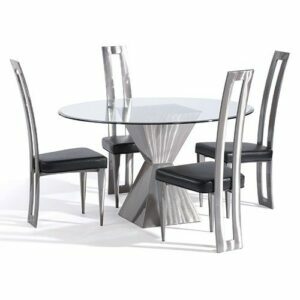 This handsome dining set features our lightweight, maneuverable Klingman Chair and our strongly selling Sundance Table. The Klingman Chair features fanned out, vented shutters. 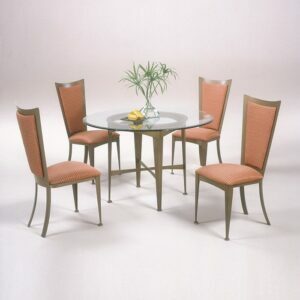 The Sundance Table features gentle curves attached to inwardly bowing legs.